I am a horse lover, collector and enthusiast. I love their gentle hearts, athletic builds and kind eyes... There are special horses who go above and beyond my general love for the animal. Rubys CD, also known as "Ruben" is one of those rare horses. He won the second round of the Open Derby with Scott Weis, tied for the lead going into the finals and was making a run to win the whole darn thing. He tries his guts out and is just one cool dude. Bad luck got in Ruben's way of winning the Open Championship in Las Vegas but I spoiled him so much after that he had no idea anything was wrong. He eats bags of cookies in one sitting. 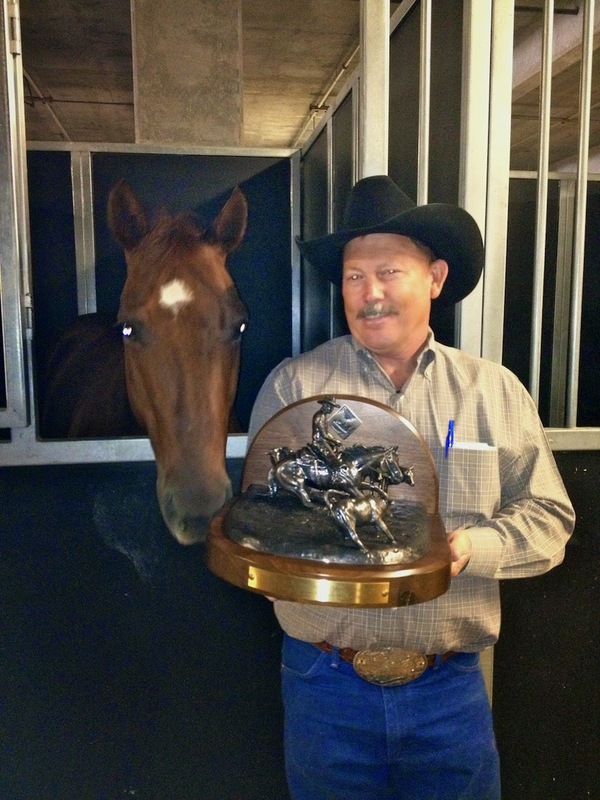 "Ruben" has become so humanized that he wanted to check out the trophy that he won. 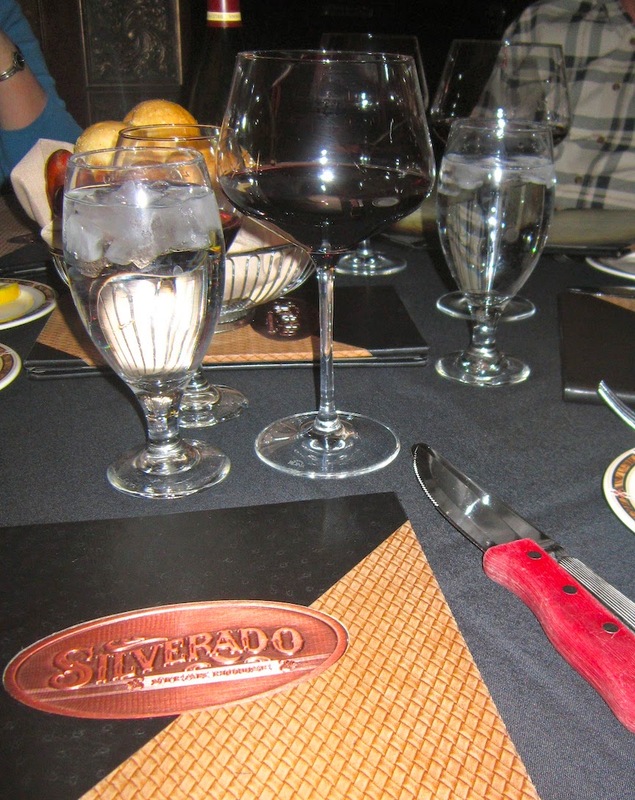 To celebrate the team success we decided it was time to check out the Silverado Steakhouse inside the South Point Casino, where the competition was being held. We ordered a bottle of Sonoma Cutrer Pinot Noir, a nice red wine that goes well with just about everything. Our entrees all came with salads and I just have to send a shout out complimenting the ranch dressing served with my greens. Not all ranch is equal. I have had some pretty terrible versions and this one was just right. 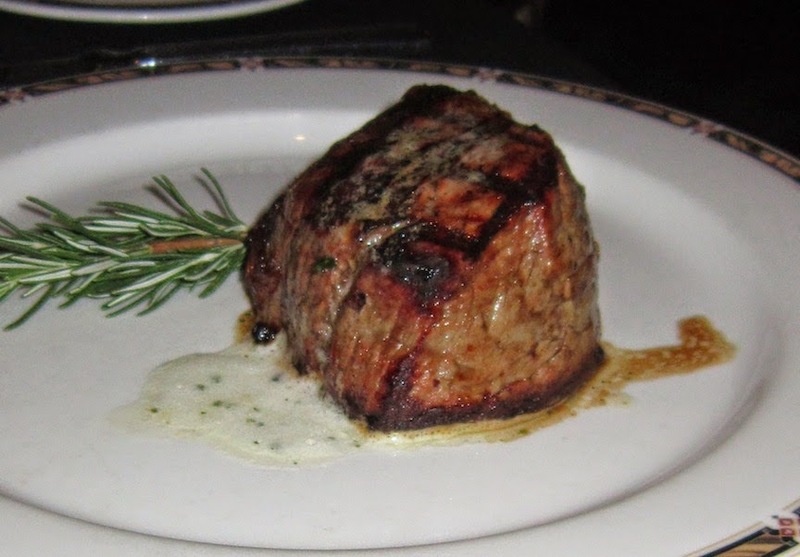 Scott played nice with his simple filet. It was cooked to his likening of medium rare and was finished with his side order of baked potato. Ron had fun with his meal and got saucy! Three sauces in fact, Bearnaise, Garlic and Mushroom, all complimented the miniature filets. The medallions all create a fair amount of meat so he didn't leave hungry, a baked potato also finished his meal. We are on one fun ride with Ruby's CD aka... "Ruben". He is a one of a lifetime kind of horse and I am blessed just to be able to clean his stall. Cheers to many more successful shows!